IoT-enabled supply chain solutions, such as SenseIT IoT by Domain, will enable your business to quickly implement robust asset condition monitoring and provide you with actionable insights for data-driven decision making. We work with SAP to deliver best-in-class solutions for your business that will help you achieve greater efficiency and improve your bottom line. Asset condition monitoring is the process of monitoring the condition of trailers, containers and their contents, based on parameters such as temperature, moisture, acceleration, tilt, shock, tampering, and other variables, while in transit. When damage occurs, failure to find the source can result in millions of dollars in lost profits, a slower time to market, and unhappy customers. It’s often impossible to tell when and where the damage occurred, however, because products typically move through multiple distribution paths. Without a reliable tracking system, a lot of manual time can be spent trying to find the source of the problem. Meanwhile, dozens (or thousands) of products may have been damaged or lost. SenseIT IoT by Domain helps small and mid-sized businesses solve this complex and costly problem by improving how they track their assets across the globe. Data is standardized, consolidated and maintained in a SAP HANA database in the cloud, and pushed to ERP. SAP HANA is an in-memory relational database management system and application platform that allows for the lightning fast processing of massive amounts of real-time data and generates interactive reports in seconds for faster decision-making. Global shipment tracking and monitoring can now be more accurate and reliable than ever before, giving companies the visibility they need with alerts, reporting and analysis on their inbound and outbound shipments. 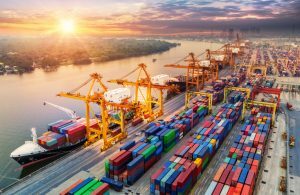 Every business that deals with shipping and logistics will benefit from the ability to detect and even prevent damage before their products reach customers. If your business is not on an SAP platform, SenseIT IoT can often be integrated with other ERP platforms, such as NetSuite. Introduce your business to the benefits of SenseIT IoT and asset condition monitoring that can help prevent damage to your products in transit. Call Domain Consulting Group today at (610) 374-7644 ext. 7005 for more information and a free consultation.